Christmas Day 2015 is nearly here and it’s time to plan your decorations for the festive season. Here are a few tips on the latest trends that will transform your home into a Winter Wonderland. Think warm metallics this Christmas! Burnished copper, brass and bronze shades have been one of the biggest trends throughout 2015 alongside the softer copper tones that are rich in yellow and gold tones. It is so easy to bring metallic luxury to your Christmas tree, John Lewis have launched their collection of festive baubles that are coated in glitter and sparkles. All metallic shades can be paired with the classic and luxurious colour of black. 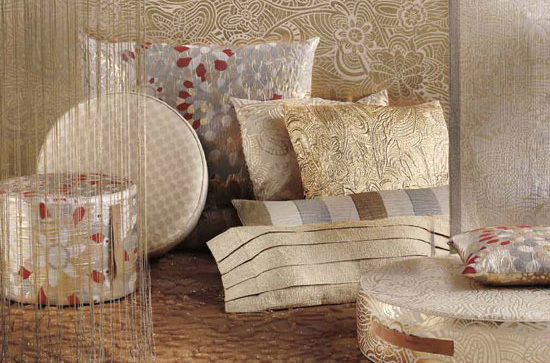 Missoni Home offer the perfect range of metallic accessories, which make the most covetable gifts!! Keep it contemporary and opt for mixing textured and patterned metallics that are geometric-shaped or abstract. 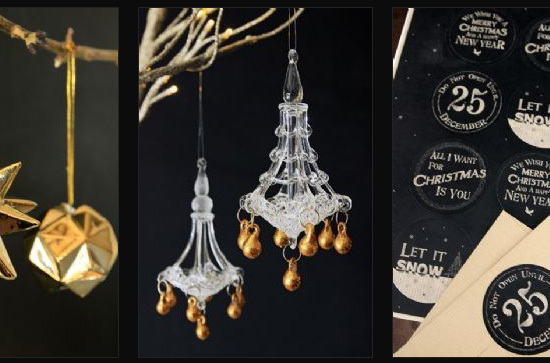 Ornaments offered on online stores such as ‘Not On The High Street’ take a creative approach to this seasons trend. A stunning copper geometric candle holder lantern is a great way to bring softer metallic tones in to your home. The mixture of the golden candle glow and the copper finish will add festive warmth to your metallic scheme. Inspired from a Finnish tradition, POD’s handmade Christmas geometric copper tree decorations give are bold and give a modern twist to your Christmas tree. 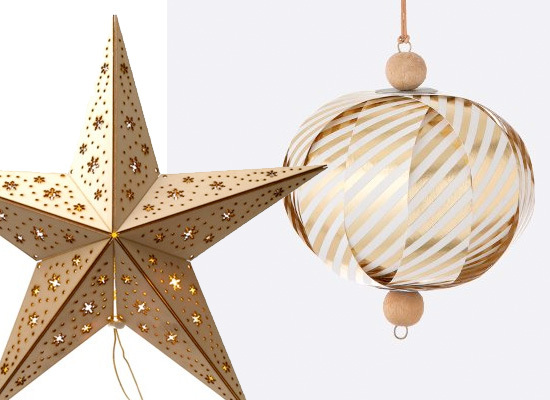 Ferm Living offer beautifully crafted Christmas tree stars and baubles with stripes of gold and wooden pearl tones. Go that step further and channel your DIY skills by making your own Christmas decorations this year. Maximise the home made effect with hanging card stars and flat-trees that can stand proud on your coffee table. Be unique, original and individual with your home made designs – keep it honest and passionate and people will notice your hard work. 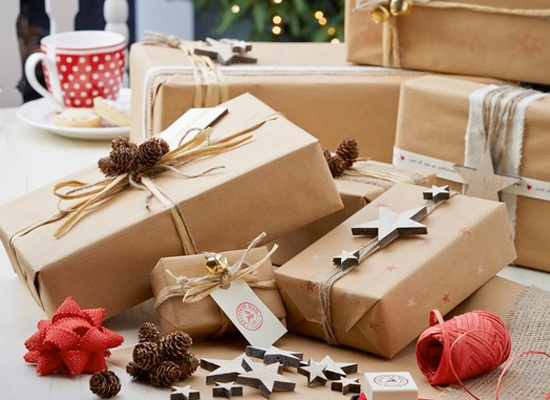 Hobbycraft’s blog offers some expert tips and advice on how to get going with your decorations and some great ideas for giving your wrapping a wonderful hand made touch. We are mixing up the seasons this festive holiday. Introduce frosted spring items – snow coated trees, white acorns, adorable forest animal ornaments and blooming flowers. Whitestores.co.uk offer 7ft Christmas trees that have been coated in snow and will create a magical wintery scene in your window display. 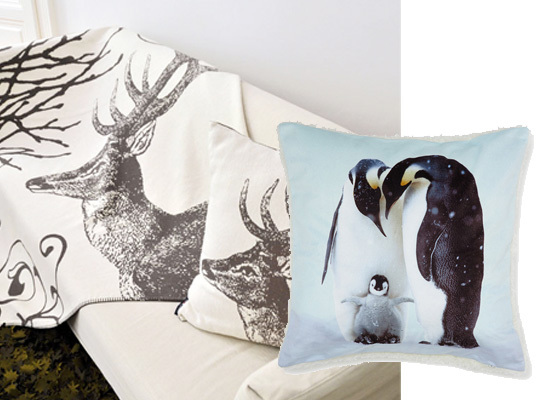 Photographic cushions and throws are everywhere this Christmas so snuggle up with a cute penguin or go for a more traditional stag, these also make great presents. 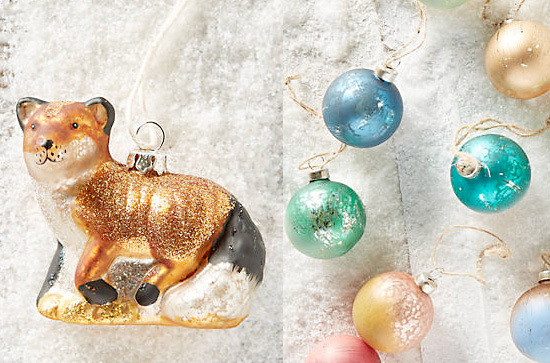 Discover the perfect winter animal ornaments for your forest scenes at Anthropolgie. There is a colourful trend of shiny whites, deep greens and teal blues inspired by ‘birds of paradise’ this season. You can bring the spring spirit to your tree decorations by iridescent sequin baubles from tch.net. And don’t forget to visit Curve favourite Rockett St George for all your finishing touches!